Cherrapeno: Waiter, there's something in my... malt loaf! aww, what a good wife you are! Wow, that looks so nice, Nic. I am sure we would scarf that down in seconds here. Aaahhh, sweet!I don't know what you are after, but you are surely gonna get it. Wow! That little melting heart of butter makes for a scrumptious photo. I'm almost ready to make a Malt Loaf myself and I don't like raisins. Awww - that so nice! Nic - It looks like one yummy malt loaf!! 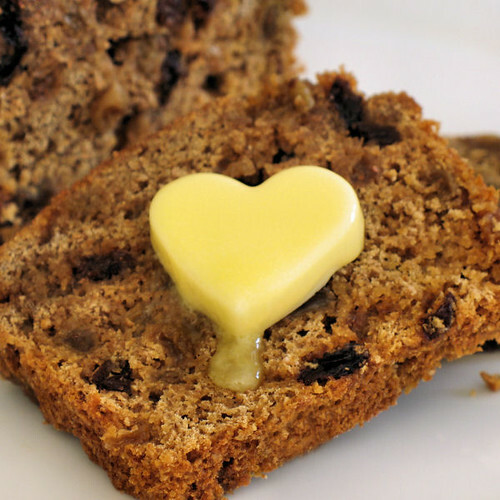 I love malt loaf, and to make it even better it I love the heart shaped butter. I love the heart shaped butter as it melts and runs down the side of the bread. Yummy ... it looks so good! anything with a melting heart on top will win me over. your husband is a lucky man! I love malt loaf but my DH doesn't so I don't make it quite as much. Yours look so yummy Nic, especially with that butter heart...I'm sure you will "butter" up hubby to get what you want. I haven't made malt loaf for years. He'll buy anything you want now, especially as you have topped the malt loaf with a butter heart! Malt bread sounds good! 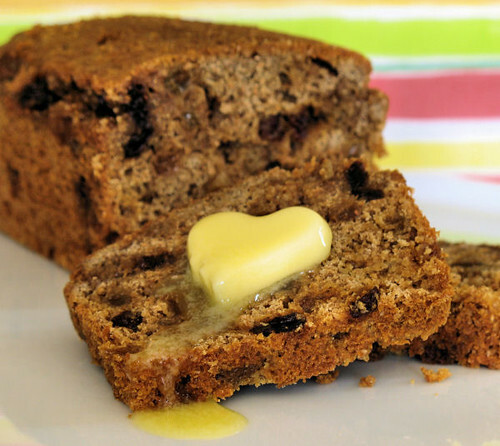 Great shots of the bread with the melting heart shaped butter! ho ho ho (sorry if i sound like santa), finally a malt loaf recipe i can use. :) i always just grab a pack from M&S...so lazy. but these looks awesome my friend. and the heartshaped butter is delightful. Grace and Raquel - thank you both! Edamame - I'm so sorry you lost your fight with the devil, it happens to me quite often! Tomorrow is another day - we'll go on our diets then! Lisa - thanks for visiting and maybe you could make it for someone else, I can just manage a few raisins, this has too many for me! Jan, LyB, Jules, Chuck, Sylvie, Aran, Sue, Margaret and Kevin - thank you ALL so much for your comments. Regarding the butter heart, it was meant to be butter curls but they didn't turn out very well, so this was the next best thing! Susan - thanks so much for the award, I'll pop over to have a look! Diva - thank you! It's a really easy recipe to make, even so - I quite often buy it too! what a lovely heart-friendly butter. How did you cut it like that? So cute. I see you cook a lot for events. Any chance of whipping somehting up for mine? I am hosting Tried & Tasted event dedicated to cooking from other blogs. This month, we re cooking from Cynthia. Up for the challenge? Heart shaped butter??? You either have way too much time on your hands or your after something???? Really interesting loaf. I really like the combination of ingredients, and it's still simple. Thanks for posting this Nic. B loves malt loaf and up till now I hadn't come across a recipe. I'm definitely going to try this, I bet your husband was delighted! I adore malt loaf. I could literally eat a whole loaf in one sitting. Love the butter too - so cute! Kent may not be very exciting but the recipe sure is! 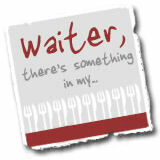 Thanks for taking the time to participate in Waiter you entry is greatly received! Hey, your husband actually reads your blog!! Definitely a keeper. Mine is only vaguely aware that mine exists (primarily because it means there is a photographic delay between the food being cooked and served!!) Don't think I've ever had a malt loaf but the flavour sounds intriguing. Can you bake malt cake with Barley Malt Syrup? Is that the same as Malt Extract? Anon, I believe it is the same thing.